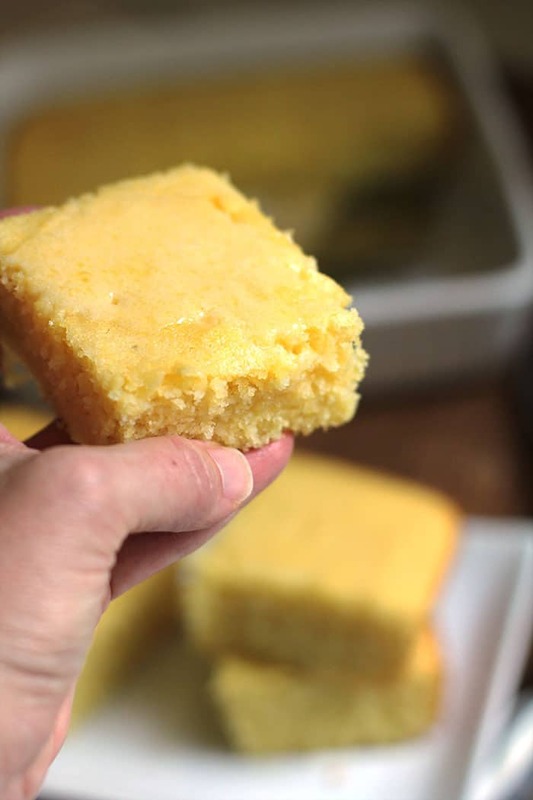 There are so many versions of cornbread – cheddar, jalapeño, bacon, cheddar jalapeño bacon, 🙂 and plain ‘ole cornbread. 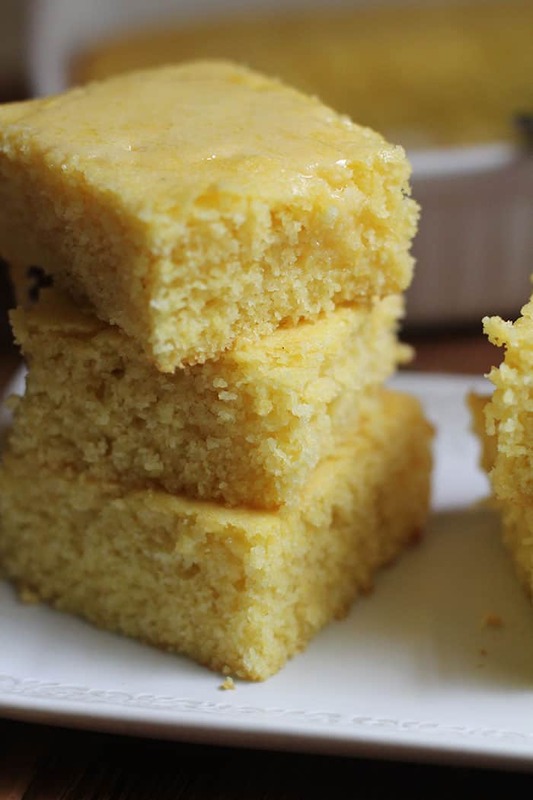 THIS however, is Sweet Buttermilk Cornbread. Amen I say! While I’ve been on the Tex-Mex bandwagon for years now, I’m a Midwestern girl at heart. I still love Miracle Whip in my potato salad, brown sugar in my baked beans, and sugar in my cornbread. Believe me, I’ve tried several methods of cutting the sweet from certain foods. In my observations, the South uses jalapeños in EVERYTHING (and now I do too, except for this cornbread!) and the North uses sugar in EVERYTHING. Maybe it’s slowly changing, but the difference is real. Like really REAL. 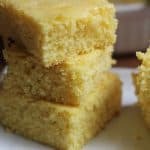 I’ve been working on this cornbread for awhile now. I’ve tried it with jalapeños and cheddar, with bacon and cheddar, with less sugar, with honey replacing the sugar, and then THIS. Just sugar and the other standard ingredients. I just could NOT develop a taste for the others. It has to be slightly sweet. And plain. With NO cheddar, jalapeños, or bacon. The ingredient list is pretty simple. 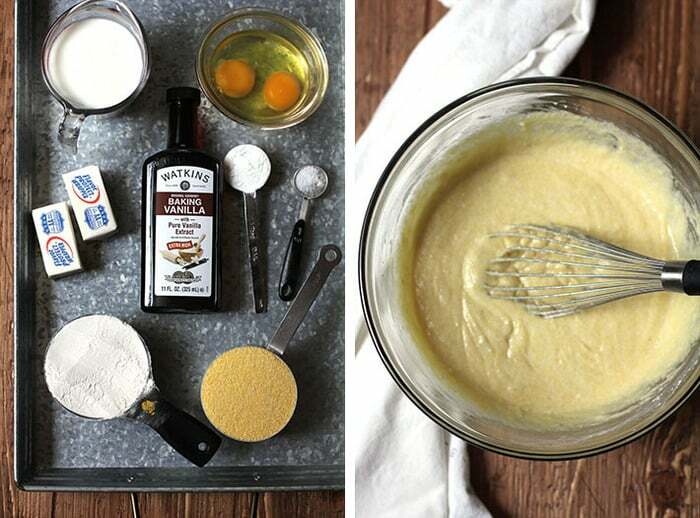 Just use two bowls and a wire whisk. You can prepare it in 10 minutes. SYRUP. Yes yes yes and more yeses. This is how we ate cornbread in Iowa. Take a slice, cut it in half, put lots of butter on the top, and a little big drizzle of dark Karo Syrup. Or make some honey butter and drizzle that on top instead. Yes please. 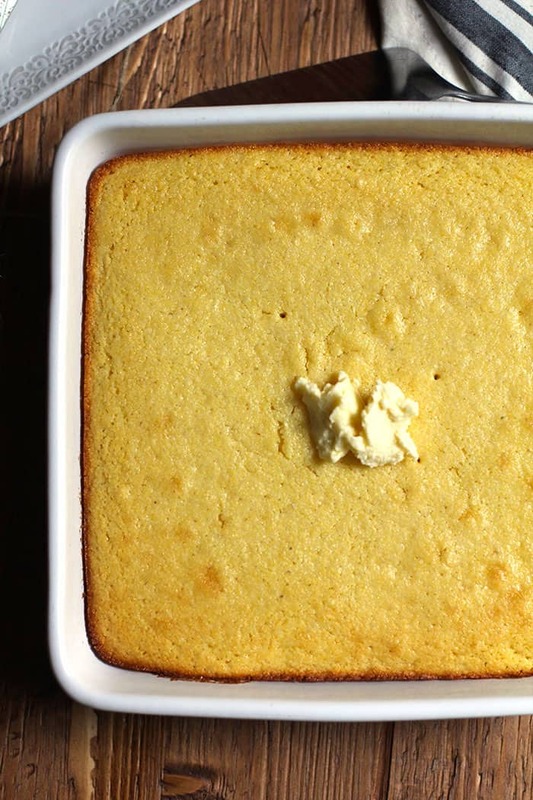 Please let me know if you try this Sweet Buttermilk Cornbread, and how you like it! In a mixing bowl, combine flour, cornmeal, salt, and baking powder. In another bowl, combine melted butter and sugar and mix well. Add eggs and quickly whip, and then add buttermilk, and vanilla. Toss wet and dry ingredients together, and mix well. Pour into sprayed 8x8 baking dish. Bake for approximately 25 minutes, or until done in the center and golden brown on top. Cut into nine pieces and serve with a dollop of butter (and syrup - optional). Great flavor Sue! Perfect with my chili! This is fabulous!! Took it to a Thanksgiving gathering and got rave reviews. Will make it again and again!! This looks yummy but I’m from Tennessee!!! 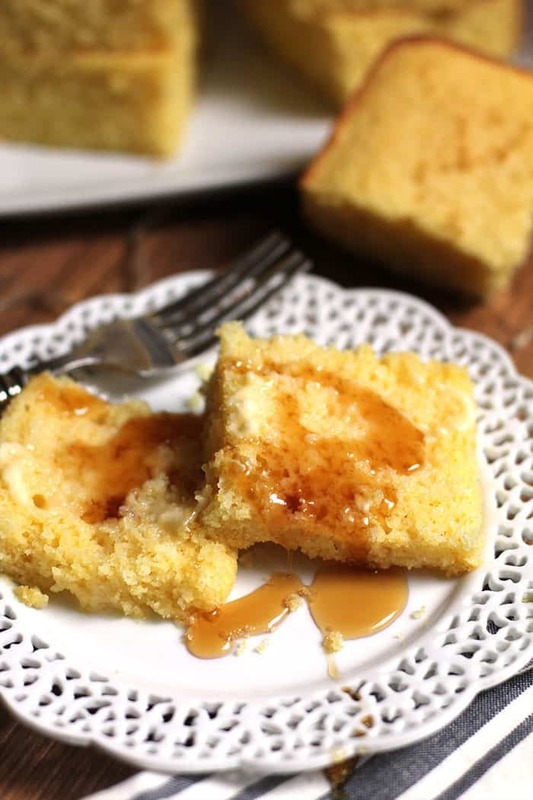 We don’t put no darn sugar in cornbread!!!! But I would love to try it!!! !